Michele Goodwin, LL.M., is currently the Wicklander Chair in Ethics and a professor of law at DePaul College of Law, where she directs the top-ranked Health Law Institute as well as the Center for the Study of Race & Bioethics. As of July 1, 2007, Goodwin will assume a new post at the University of Minnesota, where she is jointly appointed a professor in the law and medical schools. Goodwin will hold the Everett Fraser Chair at the University of Minnesota Law School. 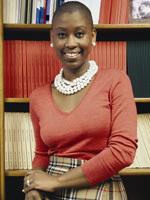 In 2006, Goodwin received the prestigious Humanities Award and earned the Faculty Achievement Award from DePaul University. In 2005, she received the Excellence in Scholarship Award. She has also been named Woman of the Year by the Urban League, and Pioneering Woman by the Historical Society of Chicago. Goodwin is a leading scholar in bioethics, and has helped to carve out the field of genetic property and the law. She lectures internationally on bioethics and biotechnology topics such as assisted reproductive technologies, mental health, stem cell manipulation, and organ transplantation, and has been invited to provide keynote lectures and workshops in South Korea, Finland, Austria, Australia, South Africa, Italy, England, Ireland, and a host of other nations. 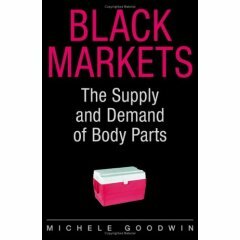 Her recent book, Black Markets: The Supply & Demand of Body Parts, published by Cambridge University Press (2006), builds upon a career of scholarship exploring causes for organ shortages and methods to remedy that crisis. Professor Goodwin's scholarship has been cited by the Seventh Circuit, 60 Minutes, the Today Show, and local news networks, including ABC, NBC, and Fox. Her opinion editorials and comments have appeared in the Los Angeles Times, Washington Post, New York Times, Houston Chronicle, Christian Science Monitor, New Zealand Herald, Wisconsin State Journal, Milwaukee Journal, and other media venues. She is a member of the executive board of the American Association of Law Schools section on law and medicine, and is a fellow of the Illinois Institute of Medicine. She earned her J.D. degree from Boston College and her LL.M. degree from the University of Wisconsin. Michele Goodwin, "Private Ordering and Intimate Spaces: Why The Ability To Negotiate is Non-Negotiable," 105 Michigan L. Rev. (2007). Michele Goodwin, "Formalism and the Legal Status of Body Parts," 2006 U. Chi. Legal F. 317-388 (2006). Michele Goodwin, "The Free Market Approach to Adoption: The Value of a Baby," 26 B.C. Third World L.J. 61-79 (2006). Michele Goodwin, "Precious Commodities: An Introduction," 55 DePaul L. Rev. 793-803 (2006). Michele Goodwin, "Assisted Reproductive Technology and the Double-Bind: The Illusory Choice of Motherhood," 9 J. 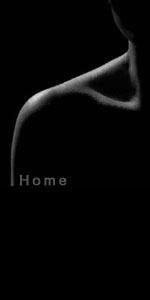 Gender Race & Just. 1-54 (2005). Michele Goodwin, "Altruism's Limits: Law, Capacity, and Organ Commodification," 56 Rutgers L. Rev. 305-407 (2004). Michele Goodwin, "Deconstructing Legislative Consent Law: Organ Taking, Racial Profiling and Distributive Justice," 6 Va. J.L. & Tech. 2-105 (2001).